Requests are granted year round for an HRHP Program Information Session to inquire about your suitability for the program, address your concerns about prerequisites, and to be invited to submit an application to enroll in the program. Also, there are regular HRHP Program Public Information Sessions. See the Justisse College Facebook Events to get the dates and times. The next dates are Saturdays at 8:00 am PST on June 15, 2019: July 13, 2019: and August 10, 2019 and more dates to come. A minimum of a two-year undergraduate degree or diploma in any field, or evidence of equivalent learning through training and/or experience in areas not typically associated with formal education. Credit for a junior level anatomy and physiology course, or are currently in an active medical practice (e.g. naturopath, osteopath, TCM, midwifery). Online courses are acceptable. Have charted your menstrual cycles (any method) for a minimum of 6 cycles. Those with Previous Health and Helping Field Experience: Applicants with extensive work or educational experience in the sexual and reproductive health education field, or medical field (e.g. naturopaths, nurse, medical doctor, master herbalist, etc.). In these cases the HRHP training is tailored according to their professional needs. They will be required to demonstrate expertise in all areas of the training in an approved alternative way. The start dates for the HRHP Training are annually May 1st and October 1st. Once enrolled, it is a self-paced program designed to meet individual need. For example, students who enroll and already have competency within certain areas of the required curriculum can arrange to alter their pacing or handling of the curriculum accordingly. Ultimately, any areas of previous scholastic or independent study and investigation that qualifies for certification as a Holistic Reproductive Health Practitioner will be considered. Deadline for May 1st start is March 15th. Deadline for October 1st start is August 15th. 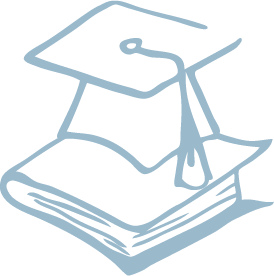 Copies of transcripts of any formal education (degrees, certificates, diplomas) -- name the program and institution and include your grades. Please make sure copies are readable and rotated to correct reading position, and in either PDF or JPEG form. Send as attachments only. List any work or volunteer experience pertinent to the healing and helping field. A 500 word essay that describes why you wish to become an HRHP and what you hope to contribute to the field. The cost of texts are not covered by tuition. Obtaining required texts is the HRHP Trainee's responsibly. Many texts can be purchased second hand. Some texts may be available through Justisse. All Justisse teaching materials are available wholesale. The HRHP training program is equivalent to approximately fifteen (15) 3-credit Canadian University courses -- success requires commitment and focus. For USA students they can consider it a masters level training. Typically 20 to 25 hours per week is required for successful completion of the program.